Have you ever wanted to get a hold of products you just can’t find in Bangladesh? Maybe it is that phone that came out a couple of weeks back, or perhaps it is that cosmetic product that you wanted to buy from overseas but couldn’t. Or maybe you want to make a little money by helping others obtain the things they want from overseas. Backpack, a recent tech startup currently operating out of Silicon Valley, addresses these needs by creating a global community that connects world travelers to shoppers. The site’s popularity is already growing rapidly, receiving 47,580 hits from over 50 countries around the world within the first 48 hours of launch and reaching people in 86 countries within a week. In that first week, Backpack users arranged 250 transactions. It was just earlier this year that Backpack’s cofounders had a revolutionary, and possibly world-changing, vision: To create an accessible and convenient global shopping network. With much determination and countless hours of hard work aimed at making the service as user-friendly and streamlined as possible, the Backpack team took the initiative to manifest this dream into reality. The mission: “Anyone can get anything from anywhere in the world.” Backpack helps users connect and save money, no matter where in the world, by connecting buyers with shoppers in a revolutionary new way. Buyers can find someone to bring their favorite products from overseas to them by connecting with one of Backpack’s ever-growing network of over half a billion international travelers. The traveler may charge a small fee as a compensation for luggage space and the effort it took to find the product, but it is certainly worth a few dollars for the buyer to have their favorite products from anywhere in the world. So far, the deals that have been arranged on the site are worth $194,688.80, with each item’s final price averaging $410.74. Backpack does not keep a penny from this. 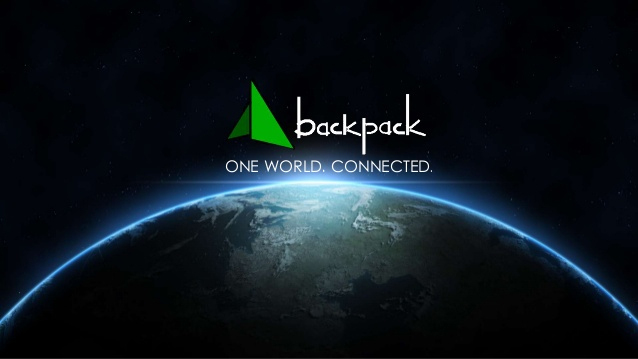 Aside from their dedicated mission to provide users with frictionless, worldwide accessibly, the majority of Backpack’s success stems from its innovative business model. Through this model, Backpack significantly decreases shipping costs, the chance of receiving counterfeit items, and supply/demand mismatches. It also gaps trade barriers by providing a means for products to be delivered anywhere in the world, including countries that Amazon and eBay are unable to reach. Currently, Backpack lists 399 trips that its network of international travelers are taking during the next 4 weeks, and that number is growing larger every day.